Punk rock band Hardihood kicks off your week-end with their long-awaited debut album, Take Your Stand. Off the new album is the lead single ‘Darkest Hour’, released via a live session video shot during the recording. “The single is inspired by the daily grind of a working class adult living in a cosmopolitan city. We wrote it as a wake-up call for us to take action against the mindless compensations paid to make us turn a blind eye to reality,” says vocalist Halim Ismail. Take Your Stand is an emotionally charged collection of 8 songs that’s a fiery blend of post-rock, punk, metal, bluesy jams, and alt-grunge. The overwhelming sound is still guitars, but the record isn’t just another dizzying barrage of distortion; rather, it showcases the versatility of the band’s shred-and-shout approach. 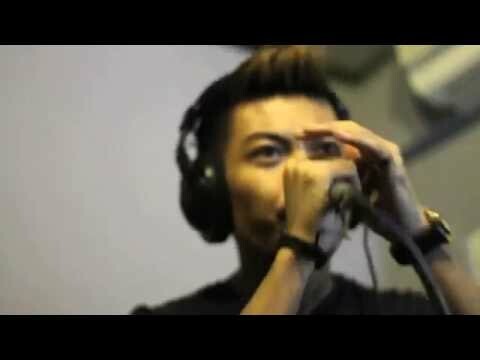 The album was recorded live at Singapore’s legendary TNT studios, engineered by Wong Ah Boy. “We decided not to go with track-by-track recording as we wanted to capture the raw and live feel of playing as a band,” explains guitarist Iskandar M Fawzi. Hardihood was formed in 2013 when Iskandar, Halim, Yuzaimi and Shahreil met at a gig. Despite their different backgrounds and musical influences, they discovered that they shared one common passion: Punk rock. In 2015, Endra replaced Yuzaimi on drums. The band released their first self-funded and self-produced EP ‘Tomorrow’ in 2015, with engineer and co-producer Bob Kamal. ‘Tomorrow’ showcased the band’s diverse influences and styles, ranging from jazz and post rock to punk rock. The album will be available through the band’s bandcamp page.